Having its schools meet state and federal measures is one important benchmark for student achievement in RCPS. Based on results from the Spring 2016 testing window (the most recent results available), RCPS was one of only approximately 20 school divisions in Virginia in which all schools were fully accredited. RCPS also prides itself on having one of the highest on-time graduation rates in the state at 94.1% for the Class of 2016. RCPS is also known for its outstanding technology program. It is a member of the prestigious League of Innovative Schools, only one of 57 national schools invited to join. As an early adopter of a 1:1 digital learning environment, all high school and middle school students are provided laptops to use in school, as well as at home – access to these laptops allows teachers to integrate interactive lessons within their curricula and to personalize learning for each student. High school students access more than 90% of their textbooks from laptops. All RCPS also have a 3-D printer and many schools compete in robotics competitions. 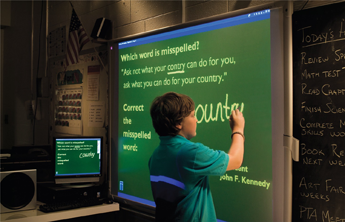 Promethean boards are in all core classrooms. Also RCPS has had an online high school program for over 12 years and high school students can take one online class during the school year using their Blackboard Learn environment. RCPS understands that teaching is more than just preparing students for end-of-year assessment tests. Acting upon feedback gathered from the business and higher education communities the school district is focusing on helping students develop Opportunity Ready Skills (creativity, collaboration, critical thinking, communication and citizenship) as part of its Profile of a Graduate. Administration / Involvement - The Roanoke County School System's commitment to staff development has resulted in an outstanding organization of school administrators, instructors, and guidance and support personnel, who are dedicated to providing our students with the knowledge and skills they need to achieve success. Education Alternatives - View details on available education alternatives in Roanoke County, including magnet schools, technical academies, and schools for science and technology. 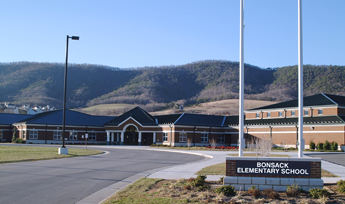 Private Education Opportunities - View details about available private education opportunities in Roanoke County, including tuition and enrollment numbers.